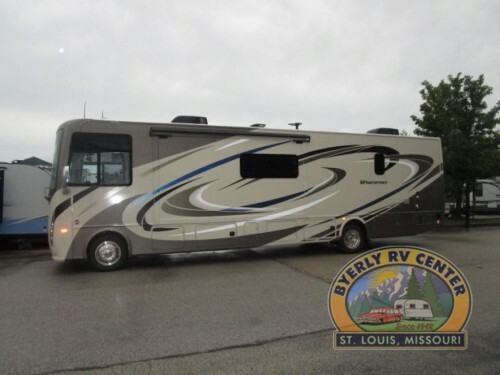 Check out the beautiful Thor Windsport Class A motorhomes for sale here at Byerly RV! Each of the eight floorplans are packed full of luxury features for the entire family to enjoy. 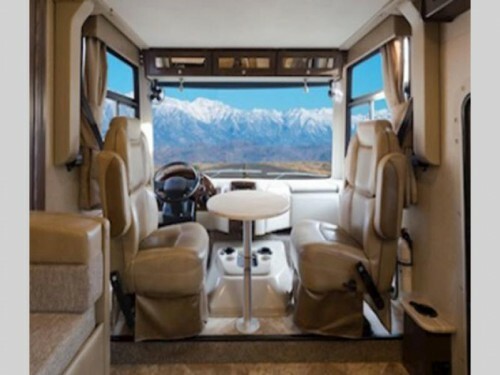 Plus, right now, you will get the 1st year of Coach-Net protection completely free with the purchase of one of these RVs, so let’s take a look inside these amazing campers in this Thor Windsport Class A motorhome review! Take a look at our Thor Windsport Class A Motorhomes! Although all motorhomes will be both your RV and your mode of transportation, the Thor Windsport comes with even more ways to make every mile better. Enjoy the comfort of the leatherette captain’s chairs with both reclining and swivel functions. And with the 10” touchscreen dash with radio, back-up monitor, Bluetooth, and navigation features, you will have everything you need to safely arrive at your destination. With superior seats and more technology, you’ll drive every mile in comfort. 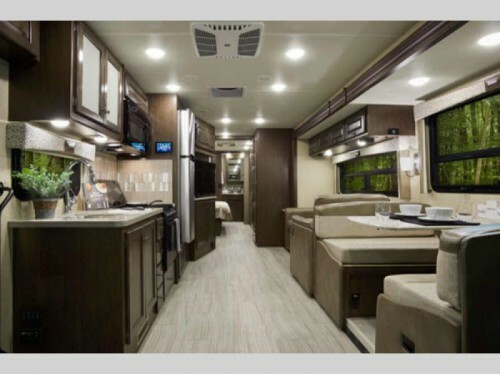 With the spacious design of up to two slides in these Class A motorhomes, there will be lots of space for more items and room for up to nine people. 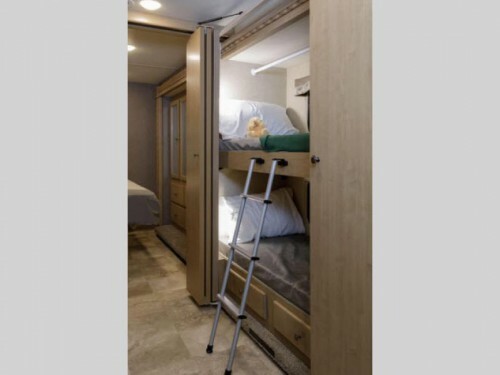 Each person will have a comfortable space with options of a king size master bed, bunk beds, convertible furniture, and power drop down hide-away overhead bunk with an easy access ladder. Plus, with a full bathroom and kitchen including high quality appliances, you can enjoy the comforts of home anywhere you travel. Bunk beds, convertible furniture, and more give everyone a comfortable place to sleep. Every area of the Windsport is built to give you more luxury on the road. Inside, you will find a leatherette sofa, theater seats, and booth dinette, all with the perfect view of the large LED TV in the living room. But you can even get more enjoyment outside with the power awning located over the additional exterior LED TV complete with soundbar where you can watch movies under the stars. Get room for more luxury with the spacious design. With all of this and so much more, you are certain to love every part of our Thor Windsport Class A motorhomes. To find out even more about these incredible recreational vehicles, feel free to contact us or stop by our location today!